Input text: the enormous kidney is several inches in front of the very large poop. kidney is facing left. the ground is silver. 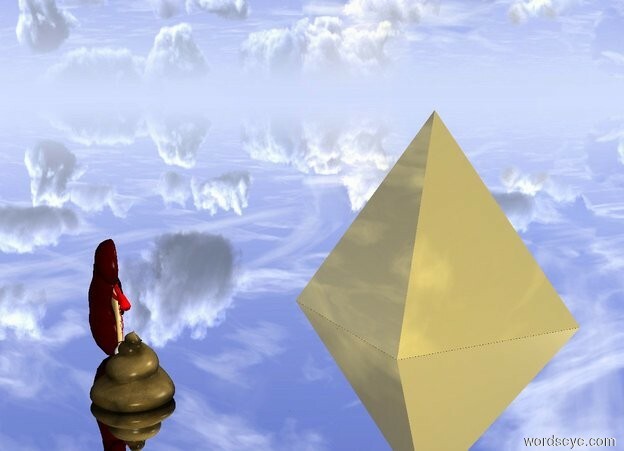 the enormous gold pyramid is 10 feet to the left of the kidney.